1. Lie relaxed on your back with eyes closed. Activate your hand chakras by rubbing your palms together in a circle. Place the left hand palm down in the middle of the chest over the Heart Chakra and rest the right hand over the left hand. Take several relaxed breaths. 2. Deepen your breathing—especially the exhalation—for a short time. Imagine with each inhale, you are taking energy in, and that with each exhalation energy is pouring into your Heart Chakra. 3. Visualize radiant green energy in the shape of a ball or whirlpool filling your chest. Continue for the duration of seven breaths. Then rest your hands to your side. 4. Remain quiet for a short time so that you can feel the effects of this meditative practice. The author suggests making time for this brief massage at least once a day. Lie on your back and place hands gently over one of the chakras with your fingers intertwined. Relax. Next place left palm on the chakra because the left hand is connected to the right side of the brain and the powers of imagination. Rest the right hand lightly on top of the left hand. 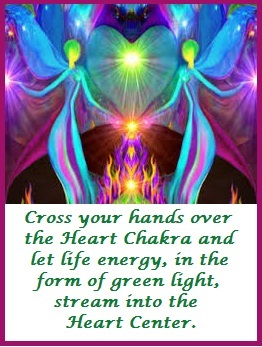 Energy will be transmitted through the hand chakras to the chakra you have chosen. 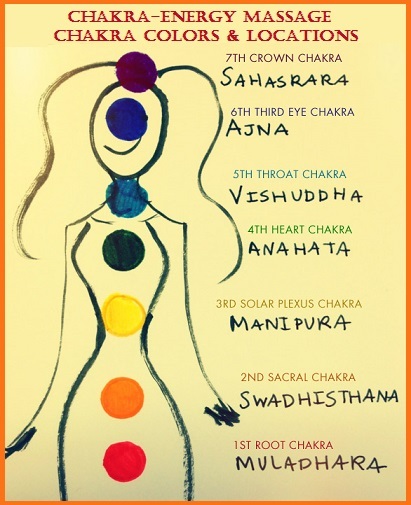 Begin to breathe deeply and visualize sending the color corresponding to this chakra. 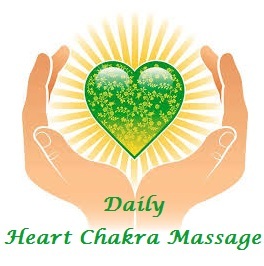 I also include sending a message of healing for the chakra’s highest good. 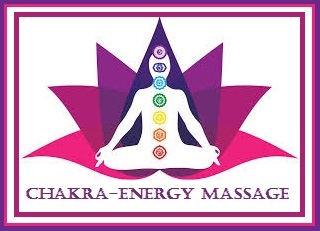 When you are finished with this chakra’s energy massage, it is okay to practice on another chakra of your choice. Believe me, your chakras will thank you.